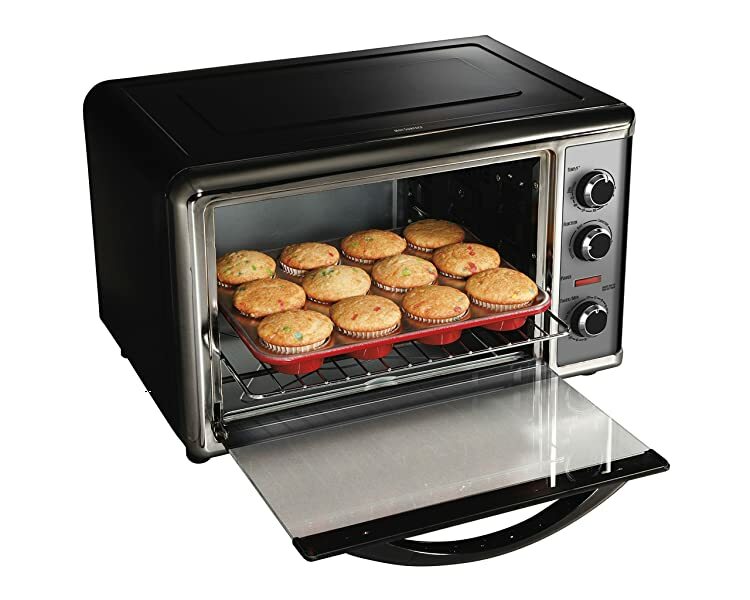 A convection oven is a kitchen appliance that can cook a lot of recipes. While a traditional oven is very popular for baking, a convection oven is popular because of its multipurpose design. Yes, it can bake – but it can also do a lot of other things like broiling (video), roasting (video), and toasting. Since this just a small oven, it takes very little time to heat up. Its design is also made in such a way that the heating elements are positioned strategically to ensure even heating. Another unique design of a convection oven is that it comes with an exhaust system or fans. This set up allows for the proper distribution of heat inside the oven. As hot air continuously circulates inside the cooking chamber, foods are cooked quickly and evenly. Note that cooking in a conventional oven sometimes results in food with hot spots and cold spots. The cooking time is also longer (and therefore more energy-consuming). 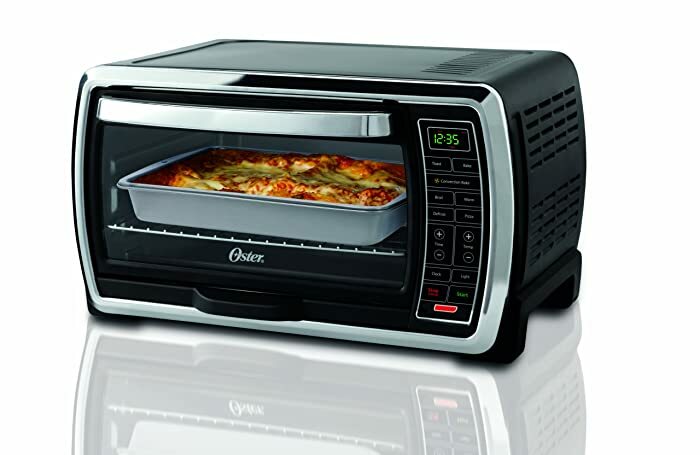 Cooking in a convection oven can be customized as this type of oven comes with programmable settings. Crispy and browned crusts can be easily made on meals and pastries as well. To get an idea as to how efficient a convection oven is (video), keep in mind that your cooking time can be reduced by 25% as compared to a traditional oven. See, that saves you time and money as well. By now, you already have an idea as to why cooking with a convection oven is more useful and economical than a conventional oven, right? Look at the list below for more benefits of this type of oven over a traditional unit. Uniformity and Consistency in Cooking – The fan or blower in a convection oven ensures that food is exposed to even temperature all throughout the cooking process. This results in a well-cooked food – not overcooked or undercooked. Versatility in Cooking Different Types of Food – A convection oven is a multifunctional kitchen appliance. It can replace a traditional oven, a microwave oven, and a regular toaster oven. You can bake, roast, broil, toast, defrost, and reheat in this one cooking device. The quality of Food – A convection oven is designed in such a way that it doesn’t burn or dry up food. In the end, your food will be crispy, juicy and tasty as well. Convenient – It’s easy to install and use. Actually, no installation is needed as you simply need to find a space in your kitchen for it.• Design – This type of kitchen appliance is multifunctional without being bulky. Guaranteed Even Heating – Heating elements are located at the top, bottom and the back of the chamber. There is also a fan that effectively distributes hot air inside the oven. 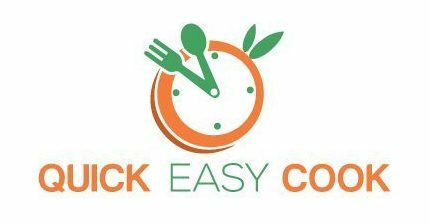 Fast – Since hot air is directed towards the food for all the duration of the cooking time, food will also cook faster. Baking with a convection oven always results in even cooking, too. Good Results – Maintaining constant temperature and blowing hot air continuously on the food will result in perfectly cooked dishes. Even thick cuts of meat can be cooked evenly and they will remain juicy as well. As you can see, a countertop convection oven makes for the perfect choice when you want speed, quality, and practicality in your cooking needs. My Top 5 choices are listed below – I have listed their features, pros and cons to help you decide as to which model is the best countertop convection oven for you. 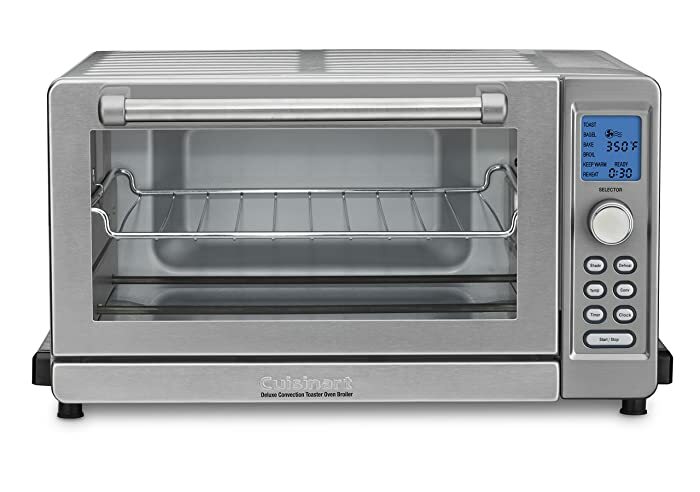 Cuisinart fans can choose this Cuisinart convection toaster oven from said Company to complement their other kitchen appliances. Coming in at number 5 in our Top 5 countdown of the best convection ovens, this is definitely a model to consider when looking to buy this type of cooking device. Spacious Interior – You can bake a whole chicken in this oven. You can also toast 6 slices of bread in 1 go. And if you’re a pizza lover, this model can accommodate a 12-inch pizza easily. Digital Control System – This is a modern kitchen appliance that’s easy to operate. 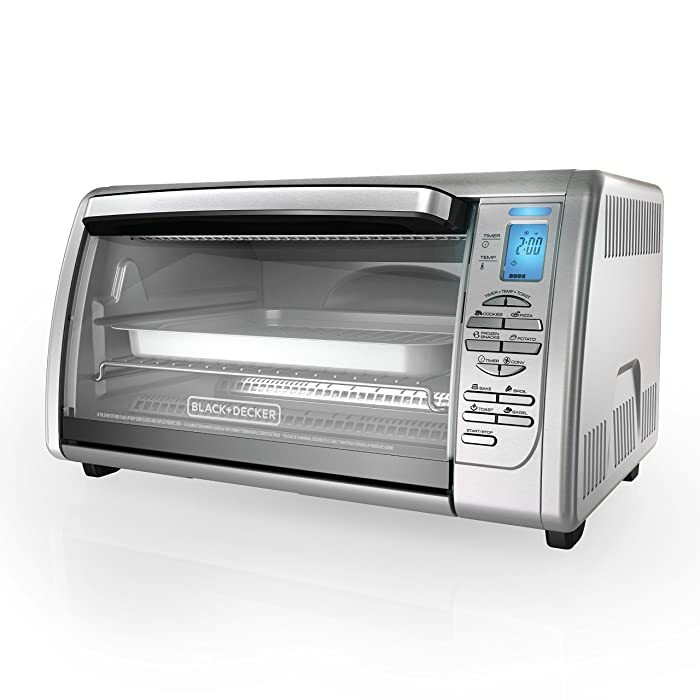 Pre-Programmed Settings – It's pre-programmed settings allow you to bake, roast, toast, broil, etc. Non-Stick Interior – Cleaning the insides of this oven is very easy as food and grease won’t stick to the sides of the unit. Timer – It comes with a 2-hour timer and an auto shut-off feature as well. In a nutshell, I can say that this is a good model of the convection oven. As long as you understand what you’re getting (and what you’re paying for), you will be satisfied with it. Programmable Settings – You can easily bake, broil, toast, etc. with just this one kitchen appliance. This model of the convection oven is good for the price. Since it’s quite cheap, its features and design are not as good as the more expensive models. The quality is good, however, so you can expect it to last for some time. For another good choice in an affordable convection oven, you can check out the Black and Decker convection oven. It can take the place of your regular oven when cooking quick meals. 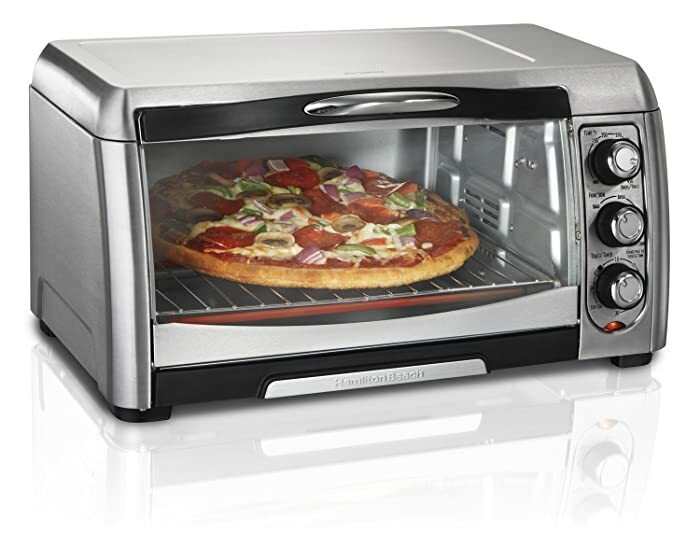 Multiple Functions – One touch settings include bake, toast, broil, bagel, pizza, frozen snacks, cookies, and potato. You can cook almost anything in this convection oven, but it comes with limitations. Since it can only accommodate small containers and pans, you can only prepare small portions of food at a time. Because of its price and features, it deserves its spot in the Top 3 position. 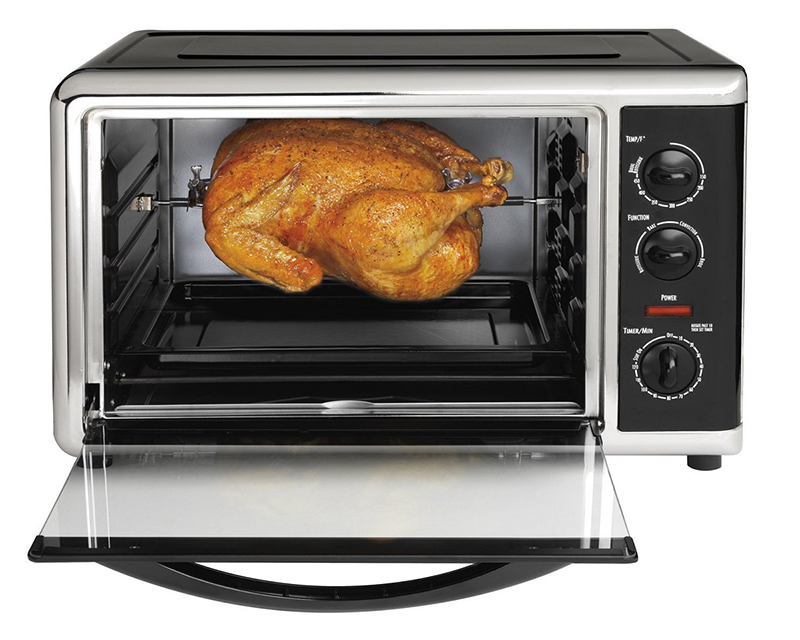 Spacious Internal Setting – It can accommodate a whole chicken, a 13x9-inch pan, or 6 pieces of toasts (one at a time). The price of this convection oven is just right – considering its features and design. Just know its limitations (particularly its internal space), and its other qualities may be enough for you. Powerful – It comes with 1,800 watts motor and 5 quartz heating elements. The heating system is positioned strategically to ensure proper heat distribution during the cooking process. Preset Functions – The touch button control lets you choose among pre-programmed settings such as bake, roast, toast, pizza, bagel, broil, cooking, warm, and reheat. If you noticed, all the products in the Top 5 list have similar features and limitations as well. It is therefore up to you to decide which points are more important than the others. Just know that all the models featured here are for home use only. 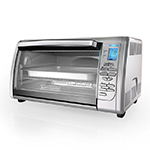 If you’re looking for a commercial countertop convection oven, click here. 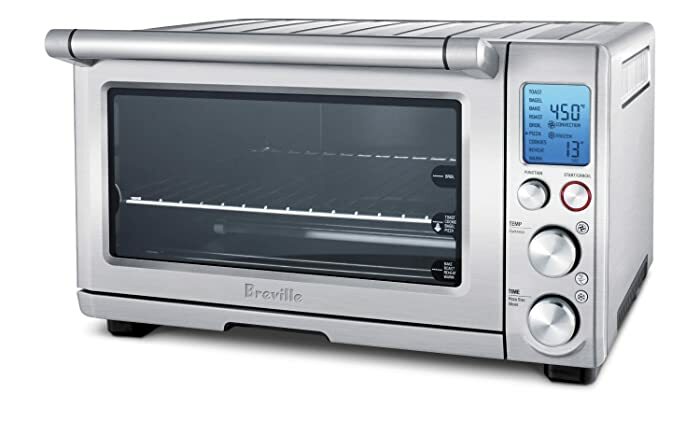 I am recommending the Breville BOV800XL Smart Convection Toaster Oven with Element IQ (video) because of its many useful features and design. In fact, it has the most spacious internal chamber when compared with the other models. With the other brands, you can only make a 12-inch pizza – while you can create a 13-inch pizza with the Breville (it sure makes a difference if you’re a pizza lover). The Breville model is also a smart convection oven – it’s the only one that can remember previous settings, so you don’t have to input the same information again and again. I should also mention that it’s a high-quality kitchen appliance – that’s why it also comes with a high price (that’s it’s only major downside – the price – because it’s quite expensive). The Oster model is also a good choice. If you look at the features, you will see that it’s almost as good as the Breville – at half the price. Click here to watch it in action (video). 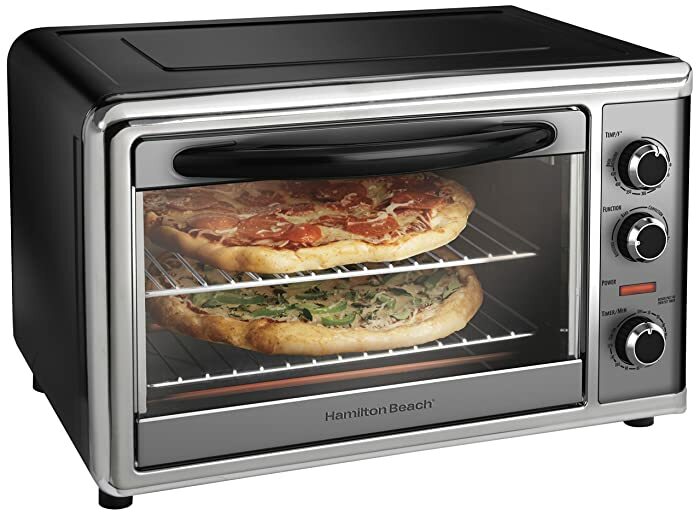 Now, if you have the limited budget and simply want a functional convection oven, the Black and Decker convection toaster oven and Hamilton Beach convection oven are also worth considering. You can surely afford one of these. Cuisinart fans, don’t be dismayed that the Cuisinart model only made it to the Top 5 position. Remember, a lot of other models didn’t even make it to the list. This particular model is also good – and it comes at a reasonable price. 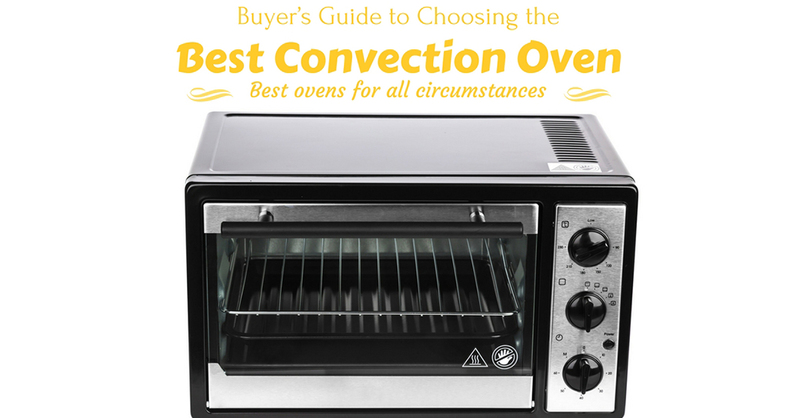 In my opinion, all the convection ovens in the Top 5 list are all good with some minor flaws here and there. Perhaps, your main deciding point will be the price and your budget. Don’t forget to share and comment, ok? Let me know which one you picked!